1) Cirro-: curl of hair, high. 3) Strato-: layer. 5) Cumulo-: heap. 2) Alto-: mid. 4) Nimbo-: rain, precipitation. High-level clouds occur above about 20,000 feet and are given the prefix "cirro-". Due to cold tropospheric temperatures at these levels, the clouds primarily are composed of ice crystals, and often appear thin, streaky, and white (although a low sun angle, e.g., near sunset, can create an array of color on the clouds). Cirrus clouds over a field cirrostratus cirrocumulus Floyd County IN. The bases of clouds in the middle level of the troposphere, given the prefix "alto-", appear between 6,500 and 20,000 feet. 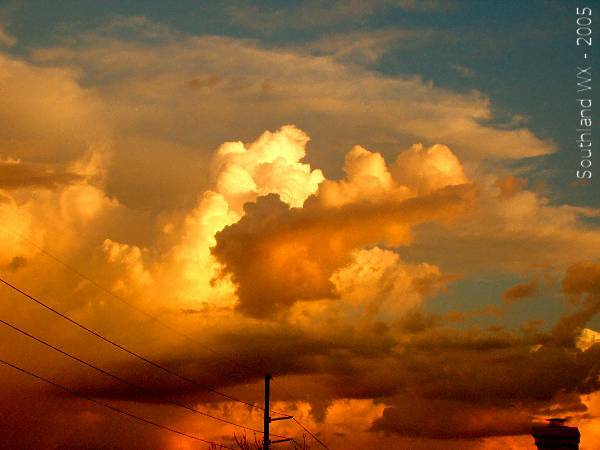 Depending on the altitude, time of year, and vertical temperature structure of the troposphere, these clouds may be composed of liquid water droplets, ice crystals, or a combination of the two, including supercooled droplets (i.e., liquid droplets whose temperatures are below freezing). 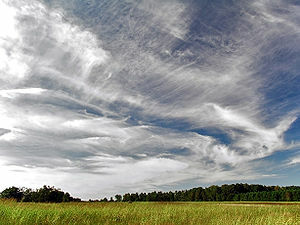 Altostratus clouds are "strato" type clouds (see below) that possess a flat and uniform type texture in the mid levels. They frequently indicate the approach of a warm front and may thicken and lower into stratus, then nimbostratus resulting in rain or snow. 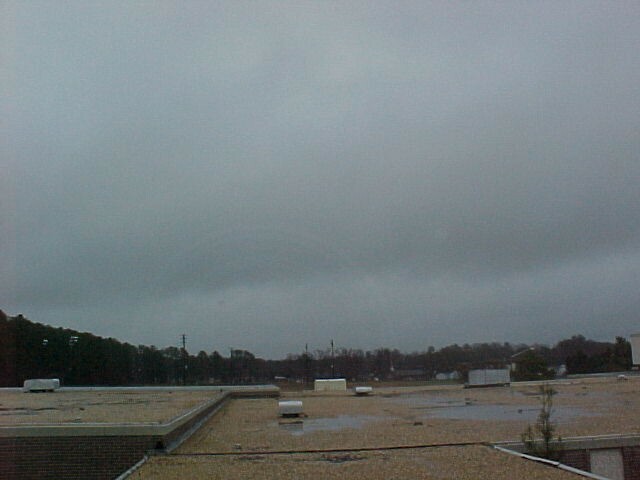 However, altostratus clouds themselves do not produce significant precipitation at the surface, although sprinkles or occasionally light showers may occur from a thick alto-stratus deck. Altocumulus clouds exhibit "cumulo" type characteristics (see below) in mid levels, i.e., heap-like clouds with convective elements. 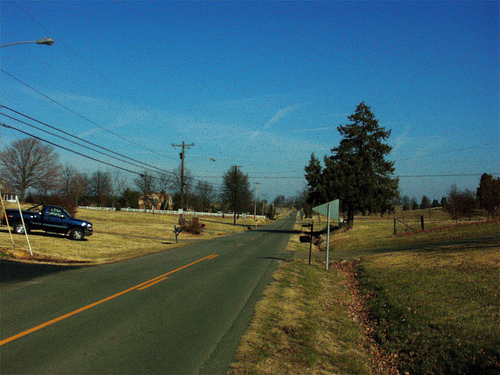 Like cirrocumulus, altocumulus may align in rows or streets of clouds, with cloud axes indicating localized areas of ascending, moist air, and clear zones between rows suggesting locally descending, drier air. 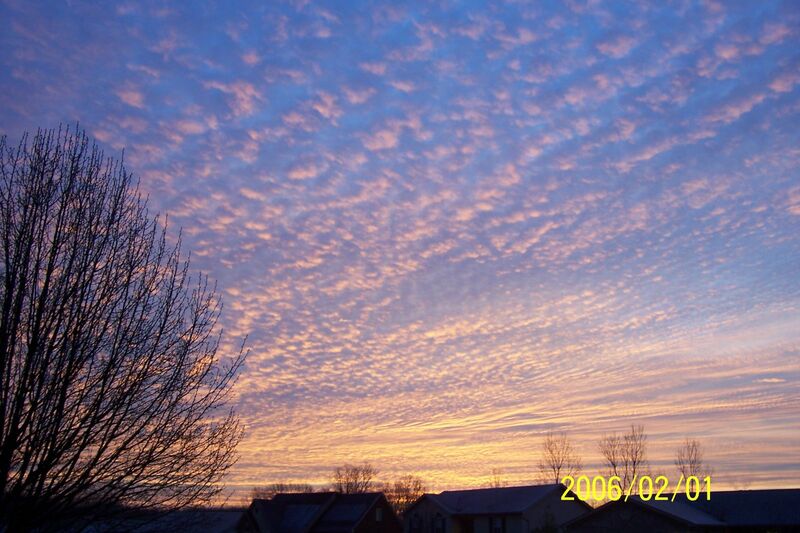 Altocumulus clouds with some vertical extent may denote the presence of elevated instability, especially in the morning, which could become boundary-layer based and be released into deep convection during the afternoon or evening. 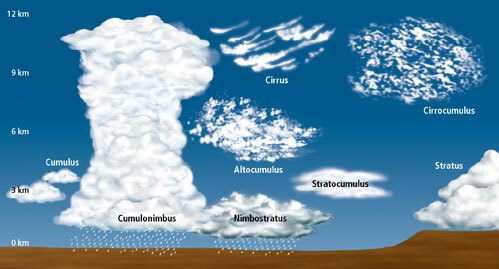 Low-level clouds are not given a prefix, although their names are derived from "strato-" or "cumulo-", depending on their characteristics. Low clouds occur below 6500 feet, and normally consist of liquid water droplets or even supercooled droplets, except during cold winter storms when ice crystals (and snow) comprise much of the clouds. Stratus clouds are uniform and flat, producing a gray layer of cloud cover which may be precipitation-free or may cause periods of light precipitation or drizzle. Low stratus decks are common in winter in the Ohio Valley, especially behind a storm system when cold, dismal, gray weather can linger for several hours or even a day or two. 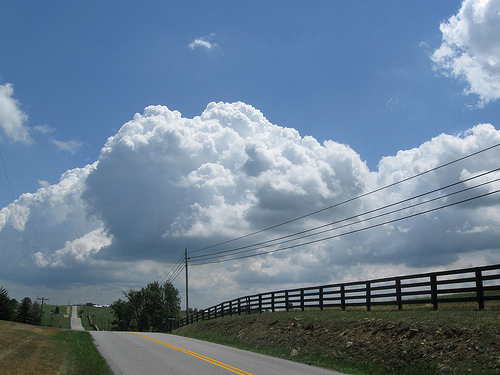 In contrast to layered, horizontal stratus, cumulus clouds are more cellular (individual) in nature, have flat bottoms and rounded tops, and grow vertically. In fact, their name depends on the degree of vertical development. 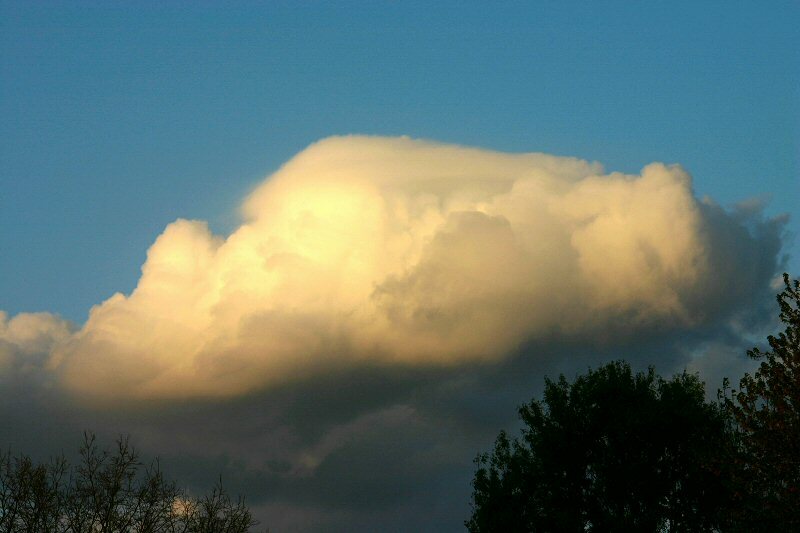 For instance, scattered cumulus clouds showing little vertical growth on an otherwise sunny day used to be termed "cumulus humilis" or "fair weather cumulus," although normally they simply are referred to just as cumulus or flat cumulus. 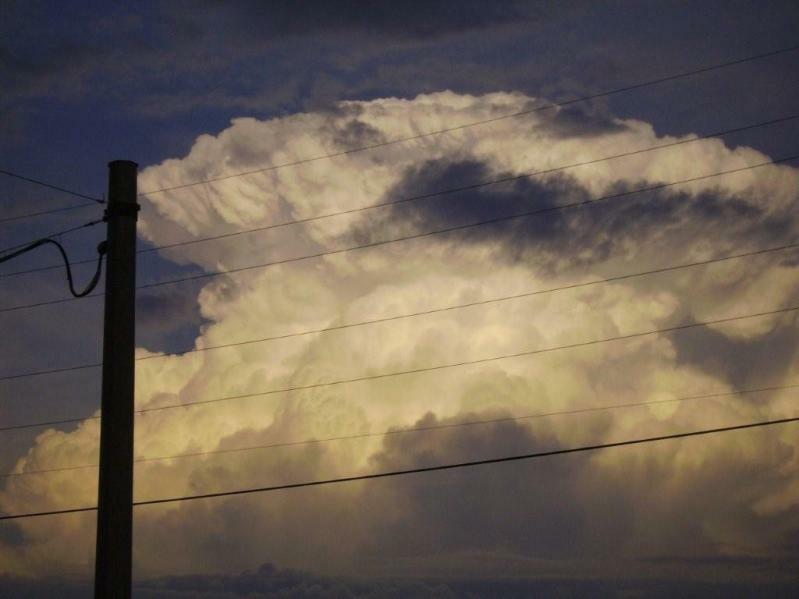 Cumulus clouds are all capable of producing some serious storms!!! 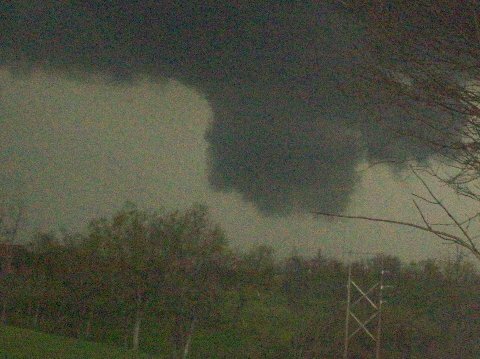 Wall Cloud: A localized lowering from the rain-free base of a strong thunderstorm. 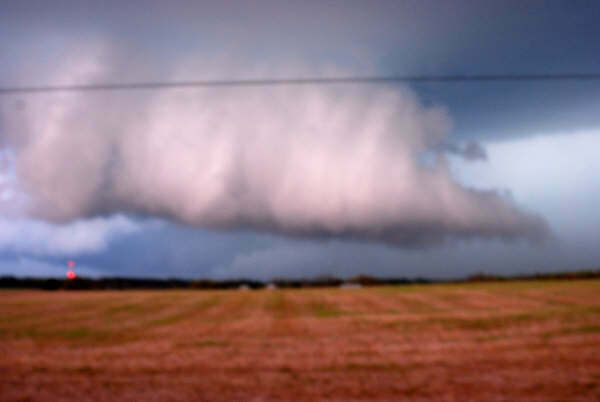 The lowering denotes a storm's updraft where rapidly rising air causes lower pressure just below the main updraft, which enhances condensation and cloud formation just under the primary cloud base. Wall clouds take on many shapes and sizes. 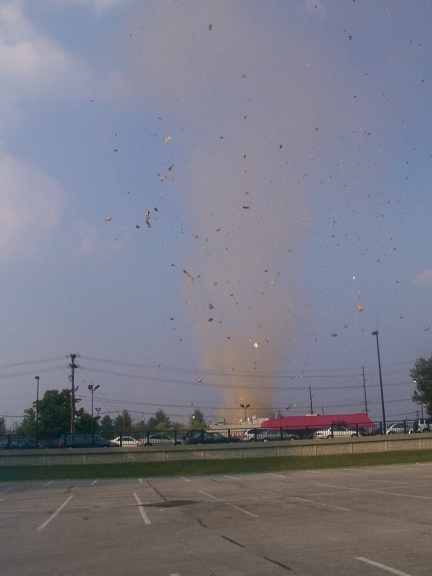 Some exhibit strong upward motion and cyclonic rotation, leading to tornado formation, while others do not rotate and essentially are harmless. 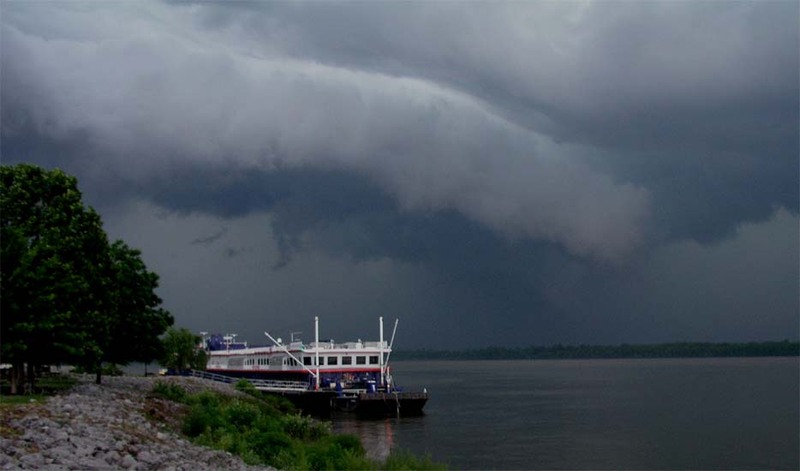 Shelf Cloud: A low, horizontal, sometimes wedge-shaped cloud associated with the leading edge of a thunderstorm?s outflow or gust front and potentially strong winds. 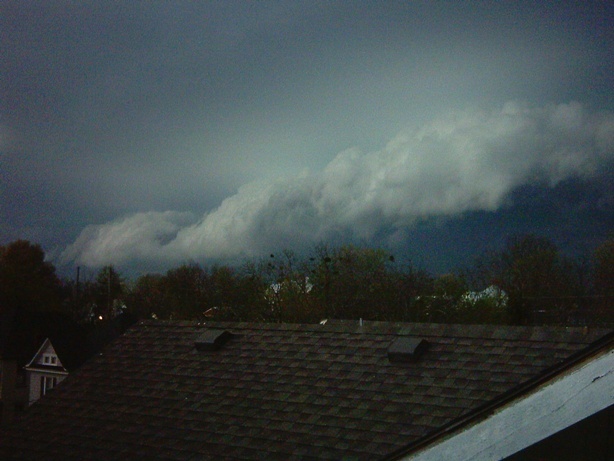 Although often appearing ominous, shelf clouds normally do not produce tornadoes. 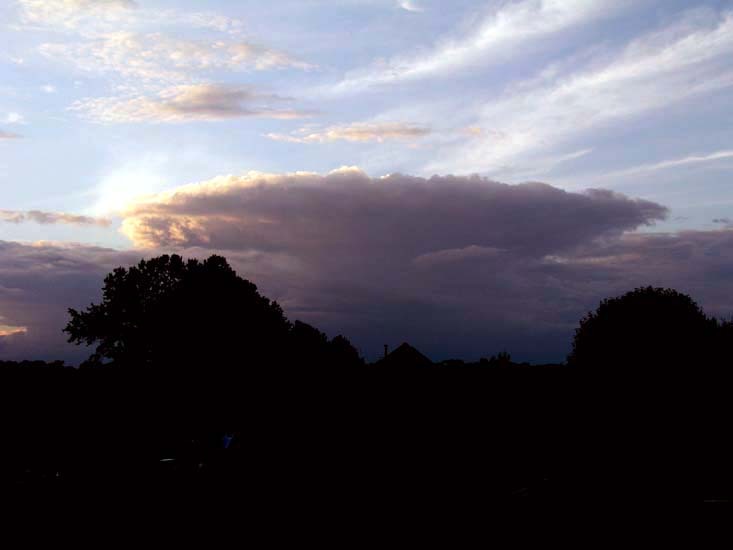 Fractus: Low, ragged stratiform or cumuliform cloud elements that normally are unattached to larger thunderstorm or cold frontal cloud bases. 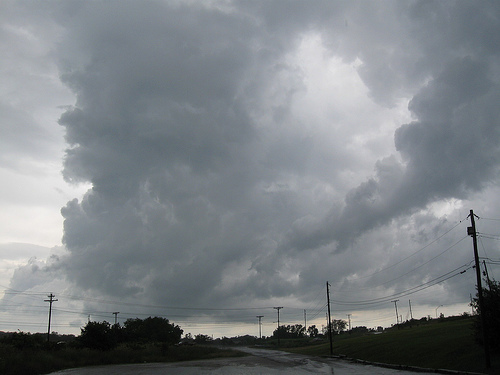 Also known as scud, fractus clouds can look ominous, but by themselves are not dangerous. 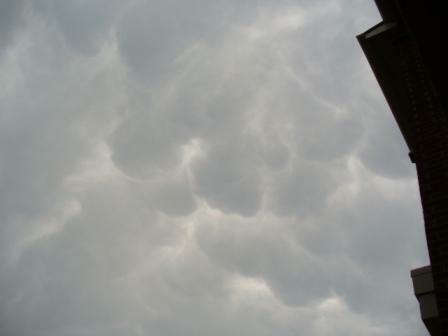 Mammatus: Drooping underside (pouch-like appearance) of a cumulonimbus cloud in its latter stage of development. 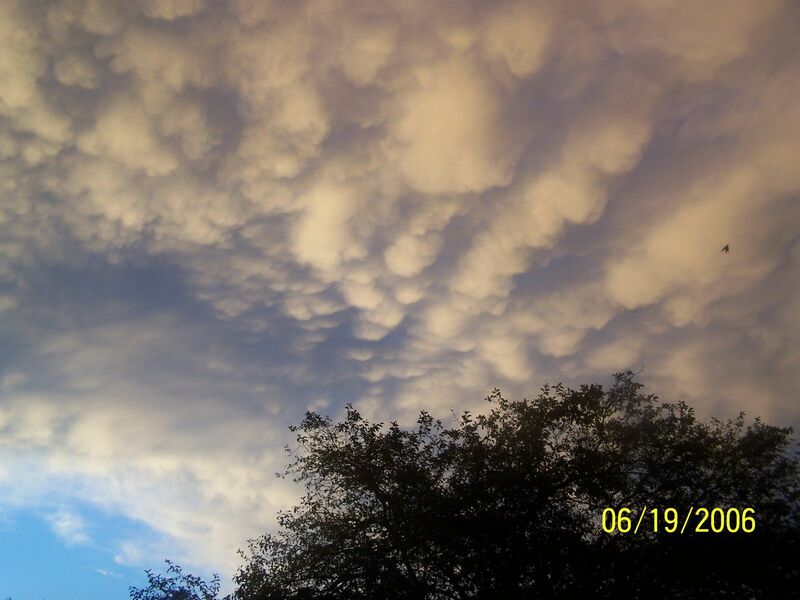 Mammatus most often are seen hanging from the anvil of a severe thunderstorm, but do not produce severe weather. They can accompany non-severe storms as well. 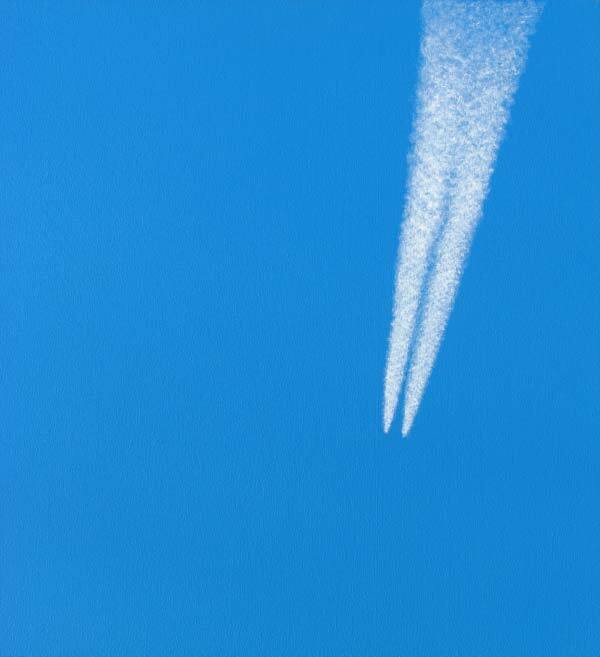 Contrail: Narrow, elongated cloud formed as jet aircraft exhaust condenses in cold air at high altitudes, indicative of upper level humidity and wind drift. 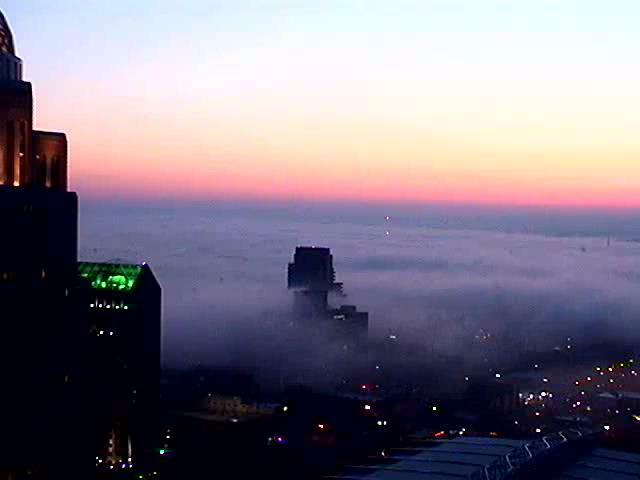 Fog: Layer of stratus clouds on or near the ground. 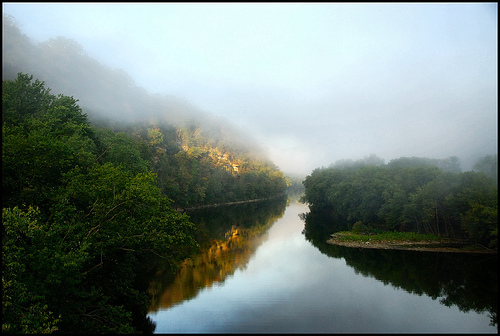 Different types include radiation fog (forms overnight and burns off in the morning) and advection fog. 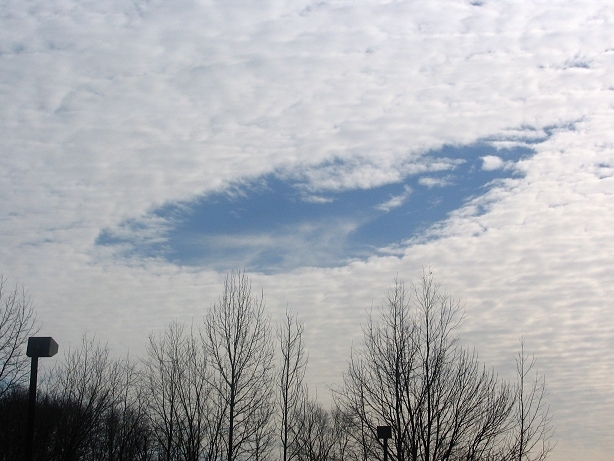 Hole-Punch Clouds: Also known as a fallstreak hole, this type of cloud is usually formed when the water temperature in the cloud is below freezing but the water has not frozen. When sections of the water starts to freeze, the surrounding water vapor will also freeze and begin to descend. 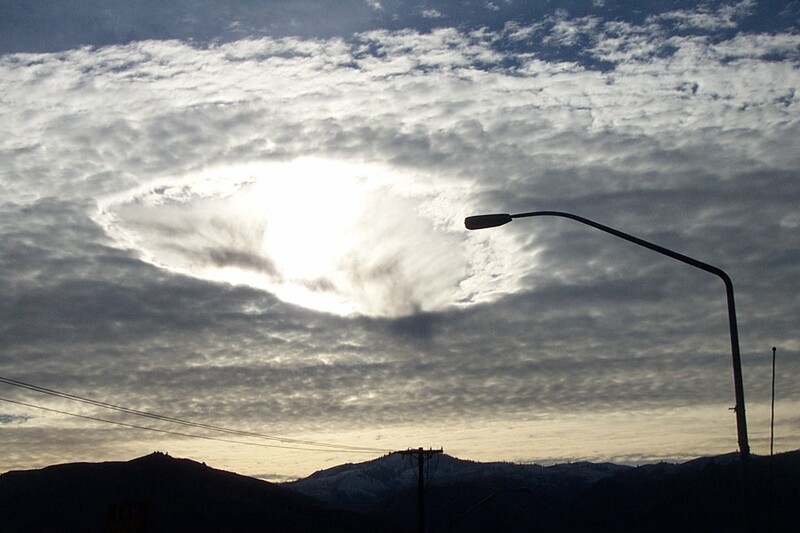 This leaves a rounded hole in the cloud. 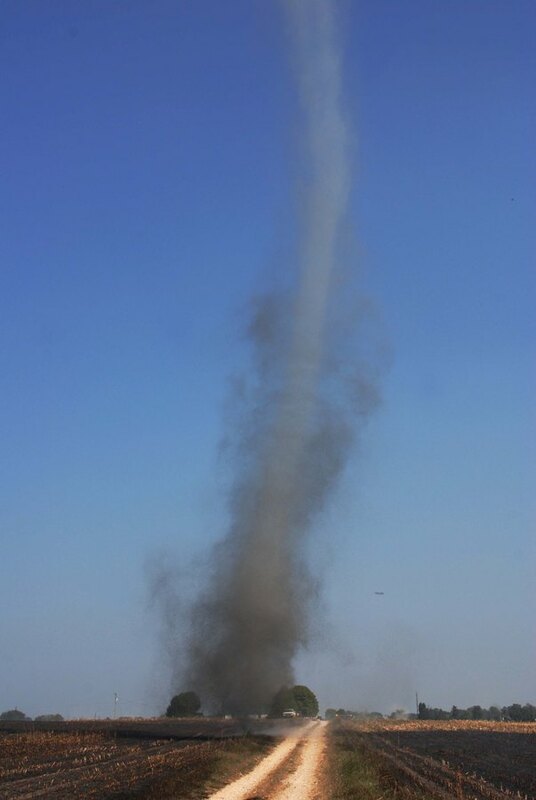 The theory on its creation is that a disruption of the cloud layer stability, which can be caused by a passing jet aircraft, creates a descending motion that can lead to the stimulation of evaporation, producing a hole.